E.M. Forster was famous for his novel A Passage to India which dealt with the clash of cultures as a metaphor for the internal machinery—human language—that inevitably separates all individuals from each other. Noam Comsky might talk about a universal grammar, but both syntax and semantics conspire to create the modern form of a Tower of Babel, a tower of “paradigm shifts,” to quote Thomas Kuhn’s famous locution. A Passage to India should be required reading in a world where even a liberal minded organization like PEN can find itself divided by the conflict between free expression and a sensitivity to cultural differences, as manifested in the recent conflict over the Charlie Hebdo award (“Charlie Hebdo Award at PEN Gala Sparks More Debate,” NYT, 5/4/15). 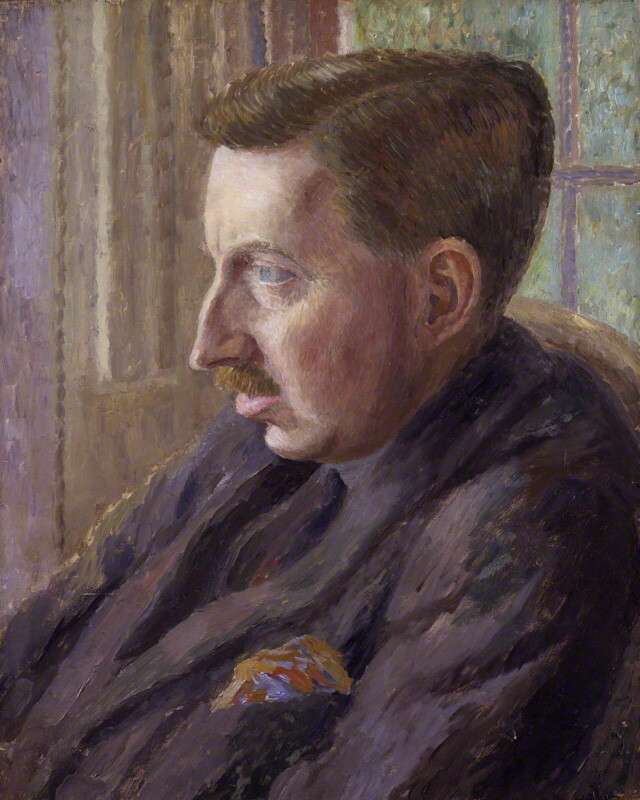 Forster also wrote a book called Two Cheers for Democracy, a series of essays in which he defended liberalism. Here again Forster’s mild mannered, ambivalent and often tortured thinking deserves to come to the fore. The classic liberal finds his or her views more threatened then ever in our current climate. He or she buckles at a multi-culturalism that threatens free speech while at the same time feeling protective of constitutional rights of those extremists who would stifle all expression. Will liberal ideals which champion privacy, constitutional rights and due process be able to survive in a world where government agencies increasingly need to take action? Will liberal ideals survive in a world where search warrants and Miranda rights go down the drain, as our fear of terrorism mounts? And can you make exceptions and suspend certain rights, under particular conditions? Oliver Wendell Holmes seemed to think so in the famous Schenck decision in which anti-draft sentiments at war time were equated with “falsely shouting fire in a theatre and causing panic." However, in a subsequent dissent, Abrams v. United States, he seemed to reaffirm the rights of expression in the same theater of war. The classic liberal is a latter day Hamlet, inhibited from action by too many thoughts and preconditions. And yet we sometimes forget that without all the questioning, without all the concern for due process and human rights—that constitute the liberal mandate—we would have nothing left to defend against the onslaught both of terrorism and its equally totalitarian backlash. You don’t want to hear about wishy washy liberal ideals when your blood is boiling and you’re ready to throw the baby out with the bathwater, opting for revenge at all costs. But isn’t this exactly what the terrorists want? After they’re finished pillaging the historical memory of antiquity, they’ll get us to commit hara-kiri by doing away with everything we stand for. The current exhibit at the Frick, “Andrea del Sarto: The Renaissance Workshop in Action,” features drawings that became the basis for his paintings. The curators quote from Giorgio Vasari's Lives of the Artists to the effect that del Sarto’s work was “free from errors and absolutely perfect in every aspect.” There are, for instance, six drawings that del Sarto developed for the “Madonna of the Steps” including one of “Arms, Legs, Hands and Drapery” (1522) done in red and black chalk and one “Head of a Youth in Profile,” which demonstrates del Sarto’s his ability to use elements of the face and body to demonstrate emotion, in this case the parted lips evoking a sensuous awe. Interestingly these drawings prefigure the cutting and pasting techniques that are used in the creation of digital images today since many of the them, became self-appropriations, that would appear directly in the paintings. What’s also interesting about this particular show is the way that is the way it underscores the relationship between visual and verbal languages. Where the fresco and painting “Tribute to Caesar” and “Madonna and Child with the Young St. John” might be the sentences, the drawing with its parts becomes like the figure of speech taking on either a synecdochic and at times even a fetishistic relationship to the whole, as is evidenced by the haunting personification in del Sarto’s drawing, “Studies of Hands” (1527). It’s a testament to del Sarto’s mastery that a seemingly limited subject like “Drapery Study” (1522), created to duplicate the effect of clothing bunching as it hangs to the floor, could take on such a life of its own. Del Sarto means son of the tailor so the painter’s brilliant renderings of fabric may have had its provenance in first hand observation of his father’s own shop. Some of the Del Sarto’s paintings are also exhibited in the current show, but the emphasis is really on drawing (and techniques like stumping, in which a wet brush is applied to the chalk surface) by one of the great technicians of the Renaissance whose talent was sometimes overshadowed by the fame of contemporaries like Michelangelo, da Vinci and Raphael. In fact, taking a look at the few paintings on display in Frick’s oval room, you might have had the impulse, were del Sarto still alive, to tell the artist to go back to the drawing board. Tinnitus is a ringing in the ear and when it’s chronic, it can be quite annoying, particularly when it seems like it’s never going to stop. Tintinnabulation also refers to a sound but in this case it’s the ringing of bells. Both words derive from the Latin tinnire, to ring. The ringing of bells is a little like perpetual motion. Though it comes and it goes, usually ending with a Doppler like effect as the last swinging barely strikes a chord, it conveys a wave like feeling, that church goers associate with the sound of eternity. Ringing in the ears or tinnitus, on the other hand, when it’s not a source of torment, is a little like the sound of the sea that you hear when you put a shell to your ears. The sound is not that of waves crashing, but simply of the general subterranean firmament that's a counterpart to the vastness and power exerted by celestial bodies. You've heard of solar flares and sun storms. In the movie The Conversation the saxophonist and private eye Gene Hackman turns up the volume to overhear criminals converse. Imagine turning down the volume on this enormous and ongoing roar of power to the point where it was digestible to the human ear and you’d probably get something that sounds a little bit like the inside of a shell. 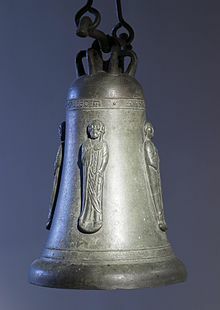 "Ring My Bell" was a disco era song sung by Anita Ward and the bell rings when a round of boxing is to begin. But while the subject is love or fisticuffs, it doesn’t convey the majesty of either the world in a shell or of the ringing of church bells that you hear on a Sunday morning on the Janiculum, one of the hills overlooking Rome. Here is a line from Brendan Behan’s The Hostage, “The bells of hell go ting-a-ling for you but not for me... Oh! death where is they sting-a-ling. Oh! grave thy victory.”And then there’s of course “Ding dong the witch is dead" from The Wizard of Oz. And don’t forget that bell tower in Hitchcock’s Vertigo. Terrorism consultants and military experts, interviewed about ISIS, have not shied away from using the word “kill.” Degrade, terminate with extreme prejudice, eliminate, contain, control and marginalize are some of the euphemisms that have previously been employed in discussing enemies. In fact when violence is being perpetrated against an enemy, even by those whose behavior is totally defensible, euphemism has, up until recently, been the favored figure of speech. Those who were rounded up after 9/11 underwent “extraordinary rendition,” which usually meant the use of techniques like waterboarding to gain access to information. Will the French employ their linguistic equivalent of the term “extraordinary rendition" if Salah Abdeslam, one of the chief suspects in the Bataclan massacre, who is currently the subject of an international manhunt, is captured? It’s unlikely that anyone is gong to bother to mince words, but what are the extent of the powers enjoyed by the French police and army under the three month state of emergency that has been declared. The Napoleonic Code is not the American constitution, especially when it comes to the presumption of innocence and it's unlikely, considering the level of rage in France now, that cruel and unusual punishment will be too much of a concern when it comes to captured terrorists. The French have plainly had enough. Marcel Ophuls’ The Sorrow and The Pity gave a good picture of how collaborators were treated after the Vichy government had been defeated, though the punishments involving public humiliation (with collaborationist women’s heads being shaved) were quite a bit more benign than what’s likely to be dished out to suspected Jihadists. Still you do a double take when you hear an otherwise levelheaded sounding diplomat or news commentator using the word “kill” when in a civilized democracy we usual try, sentence and then appeal to Justice with her two scales where those who break the social contract are concerned. 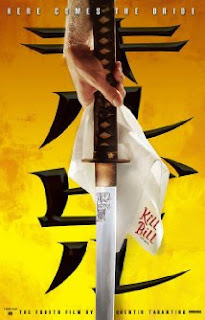 Kill Bill was the title of the Quentin Tarantino movie. Now it’s just “Kill!” and God help all of us. “The horror! The horror?” were the final words uttered by Mr. Kurtz in Conrad's Heart of Darkness. Earlier Kurtz also writes, “Exterminate all the brutes!"